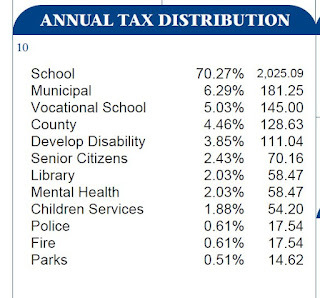 The distribution of my 2013 property tax bill. Everyone complains about taxes. I'm smiling at my 2013 Licking County property tax bill, though. It was my pleasure to help pass a Park District Levy that supports maintenance of our parks, paths, and trails in Licking County. For that, I'm paying a measly $14.62 a year in taxes. I voted for it and I'm happy to pay it. It's a good investment. I'm especially happy, though, that, due to natural growth in property values in Licking County and the subsequent readjustment of rates, my property taxes went down. So, despite the levying of a whole new tax to preserve our parks, paths, and trails, I'm paying less. That's a reason to like my tax bill for sure. 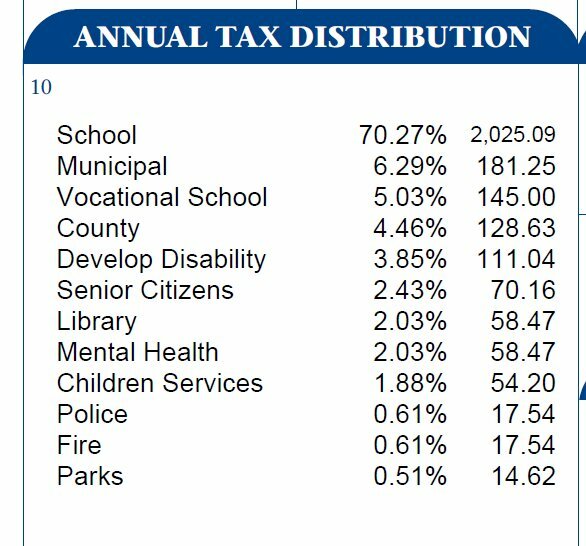 It's also worth noting that my Newark, Ohio property tax rate is adjusted to less than 50 mills. That's not even 50% of the state average tax rate in Ohio. Then, consider Ohio's rate is way, way below many states in the Union. Everything's relative. There's another reason to like my tax bill.